"County of Orange" redirects here. For other uses, see Orange County (disambiguation). The Principality of Orange (French : la Principauté d'Orange) was, from 1163 to 1713, a feudal state in Provence, in the south of modern-day France, on the east bank of the river Rhone, north of the city of Avignon, and surrounded by the independent papal state of Comtat Venaissin. 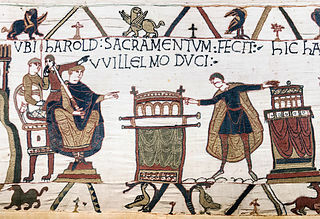 The Carolingian counts of Orange had their origin in the 8th century, and the fief passed into the family of the lords of Baux. 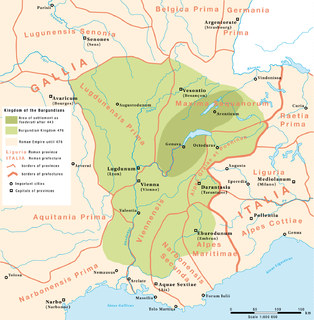 The Baux counts of Orange became fully independent with the breakup of the Kingdom of Arles after 1033. In 1163 Orange was raised to a principality, as a fief of the Holy Roman Empire. In 1365, Orange university was founded by Charles IV when he was in Arles for his coronation as king of Arles. 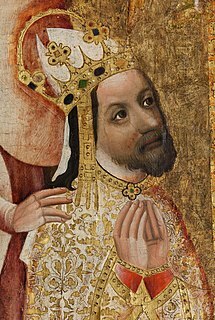 Charles IV, born Wenceslaus, was a King of Bohemia and the first King of Bohemia to also become Holy Roman Emperor. 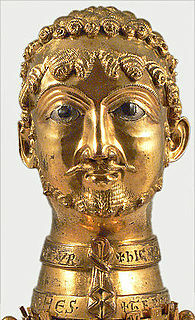 He was a member of the House of Luxembourg from his father's side and the Czech House of Přemyslid from his mother's side; he emphasized the latter due to his lifelong affinity for the Czech side of his inheritance, and also because his direct ancestors in the Přemyslid line included two saints. In 1431 the Count of Provence waived taxation duties for Orange's rulers (Mary of Baux-Orange and Jean de Châlons of Burgundy) in exchange for liquid assets to be used for a ransom. The town and principality of Orange was a part of administration and province of Dauphiné. John III of Chalon-Arlay was a French nobleman and a member of the House of Chalon-Arlay. He was the son of Louis I lord of Arguel, and the heir of his uncle, Louis's brother, Hugh II lord of Arlay from whom he inherited Arlay. In 1544, William the Silent, count of Nassau, with large properties in the Netherlands, inherited the principality. William, 11 years old at the time, was the cousin of René of Châlon who died without an heir when he was shot at St. Dizier in 1544 during the Franco-Imperial wars. René, it turned out, willed his entire fortune to this very young relative. 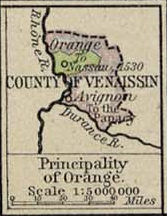 Among those titles and estates was the Principality of Orange. René's mother, Claudia, had held the title prior to it being passed to young William since Philibert de Châlon was her brother. When William inherited the Principality, it was incorporated into the holdings of what became the House of Orange. This pitched it into the Protestant side in the Wars of Religion, during which the town was badly damaged. In 1568 the Eighty Years' War began with William as Stadtholder of Holland leading the bid for independence of the Netherlands from Spain. William the Silent was assassinated in Delft in 1584. It was his son, Maurice of Nassau (Prince of Orange after his elder brother died in 1618), with the help of Johan van Oldenbarnevelt, who solidified the independence of the Dutch republic. As an independent enclave within France, Orange became an attractive destination for Protestants and a Huguenot stronghold. 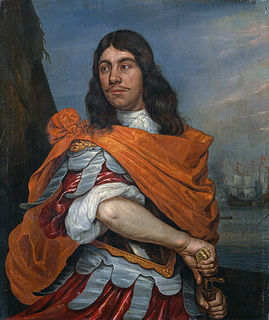 William III of Orange, who ruled England as William III of England, was the last Prince of Orange to rule the principality. The principality was captured by the forces of Louis XIV under François Adhémar de Monteil Comte de Grignan, in 1672 during the Franco-Dutch War, and again in August 1682, but William did not concede his claim to rule. In 1702, William III died childless and the right to the principality became a matter of dispute between Frederick I of Prussia and John William Friso of Nassau-Dietz, who both claimed the title 'Prince of Orange'. In 1702 also, Louis XIV of France enfeoffed François Louis, Prince of Conti, a relative of the Châlon dynasty, with the Principality of Orange, so that there were three claimants to the title. Finally in 1713 in the Treaty of Utrecht, Frederick I of Prussia ceded the Principality to France (without surrendering the princely title) in which cession the Holy Roman Empire as suzerain concurred, though John William Friso of Nassau-Dietz, the other claimant to the principality, did not concur. Only in 1732, with the Treaty of Partage, did John William Friso's successor William IV, Prince of Orange, renounce all his claims to the territory, but again (like Frederick I) he did not renounce his claim to the title. In the same treaty an agreement was made between both claimants, stipulating that both houses be allowed to use the title. In 1713, after Orange was officially ceded to France, it became a part of the Province of the Dauphiné. Following the French Revolution of 1789, Orange was absorbed into the French département of Drôme in 1790, then Bouches-du-Rhône, then finally Vaucluse. Nowadays, both Georg Friedrich of Prussia and Dutch crown princess Amalia carry the title "Prince(ss) of Orange", Amalia in the official form of Prinses van Oranje. Due to its connection with the Dutch royal family, Orange gave its name to other Dutch-influenced parts of the world, such as the Orange River and the Orange Free State in South Africa, and Orange County in the U.S. state of New York. The town of Orange, Connecticut is named after the principality. The orange portion of the flag of Ireland, invented in 1848, represents Irish Protestants, who were grateful for their rescue by William III of England in 1689–1691. The flag of South Africa from 1928 to 1994 had an orange upper stripe and was very similar to the old Dutch flag, also called Prince's Flag, because it was inspired by the history of the Afrikaners, who are chiefly of Dutch descent. The flag of New York City and the flag of Albany, New York (which was originally known as Fort Orange) also each have an orange stripe to reflect the Dutch origins of those cities. In turn, orange is included in the team colors of the New York Mets, the New York Knicks, and the New York Islanders. It is also a team color of the San Francisco Giants, which was a New York team until 1957. The color orange is still the national color of the modern Kingdom of the Netherlands. The Dutch flag originally had an orange stripe instead of a red, and today an orange pennant is still flown above the flag on Koningsdag. Dutch national sports teams usually compete in orange, and a wide variety of orange-colored items are displayed by Dutch people on occasions of national pride or festivity. Nederland en Oranje is a 1913 Dutch silent historical drama film directed by Louis H. Chrispijn. The film features nineteen short pieces with themes from Dutch national history and was made to celebrate the Dutch Kingdom. Princess Mabel of Orange-Nassau is the widow of Prince Friso and sister-in-law of King Willem-Alexander of the Netherlands. She is a prominent human rights activist, widely known for her roles in co-founding War Child Netherlands, the European Council on Foreign Relations, Girls Not Brides: The Global Partnership to End Child Marriage, and for having served as the first Chief Executive Officer of The Elders, a grouping founded by Nelson Mandela and chaired by Kofi Annan. In 2005, the World Economic Forum recognised her as a Young Global Leader. Van Oranje is an advisor to several non-profits, including the Coalition for the International Criminal Court, the Malala Fund, Crisis Action and the Open Society Foundations. 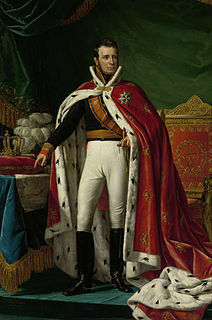 Prince William Hyacinth of Nassau-Siegen was a Prince of Nassau-Siegen. He also claimed the Principality of Orange. ↑ George Ripley And Charles A. Dana (1873). The New American Cyclopædia. 16 volumes complete. article on Principality of Orange: D. Appleton And Company. ↑ Couvée, D.H.; G. Pikkemaat (1963). 1813-15, ons koninkrijk geboren. Alphen aan den Rijn: N. Samsom nv. pp. 119–139.